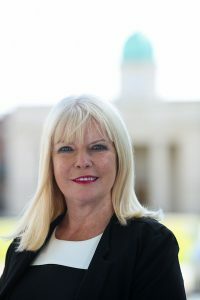 Minister of State for Higher Education, Mary Mitchell O’Connor T.D. today published the Eurostudent VI study, the sixth report of its kind into how students experience university life, while visiting GMIT Mayo campus Castlebar. Most college students feel like they ‘fit in’. With 53% planning on continuing to study in some form after graduating. • High levels of overall student satisfaction with the quality of teaching the timetabling of studies and the facilities of the institution. • Furthermore, students appear to have a clear understanding of what is expected of them from their institution. • Students also report high levels of ‘fitting into’ higher education and appear to have few doubts that higher education was the right choice for them. This is further demonstrated by most students reporting that they would recommend their choice of programme to other students. If we are to have the best education system in Europe by 2026, we must ensure our institutions are responding to the experience of those that use them. Reports such as these give us an invaluable insight and will contribute to future policy making. “This represents a very useful study into the social dimension of student life, and it will inform what measures we can take to ensure student success, which has so many dependencies. A priority for me as Minister of State for Higher Education, is to provide target groups outlined in the National Plan for Equity of Access 2015-2019 with more opportunities to go to college and have a world class positive student experience while there. I want to commend the efforts of the Higher Education Authority and Insight Statistical Consulting for the attention to detail as evident in this report. I wish to thank the higher education institutions for their co-operation in facilitating the online survey and especially the students who took time to complete the survey. It has become increasingly accepted that the student perspective or ‘voice’ is critical to inform sound policy decisions in the higher education field. This report, which presents the findings of the sixth Eurostudent survey of over 20,000 higher education students in Ireland, provides a wealth of internationally comparable demographic, economic and social data. This data provides insights into the quality of life of the increasingly diverse student population in Irish higher education. Eurostudent is a network of researchers and data collectors, representative of national ministries and other stakeholders who have joined forces to examine the social and economic conditions of student life in higher education systems in Europe. The main aim of the Eurostudent project is to collate comparable data from 26 countries on the social dimension of European higher education. Eurostudent is a network of researchers and data collectors, representative of national ministries and other stakeholders who have joined forces to examine the social and economic conditions of student life in higher education systems in Europe. The Irish study is overseen by the HEA on behalf of the Department and was undertaken by Insight Consultants. This publication will include information collated from higher education institutes on the social dimension of higher education in Ireland as provided by a survey completed by students. It focuses on the socio-economic background and on the living conditions of students. It also investigates other interesting aspects of student life such as international mobility and employment during term-time. This report provides results from over 20,000 students attending higher education institutions in Ireland and provides insightful information relating to the demographic profile of students, course characteristic, entry routes, accommodation, employment and other relevant issues on student life. The information collated helps us to comprehend more succinctly the quality of life of the increasingly diverse student population in Irish higher education and how this influences their learning experience. The findings cover areas such as demographics, course characteristics, disability, college entry route, income and expenditure, accommodation, employment and student. Further details on the report can be obtained from the Higher Education Authority.